Mike never loses sight of his iPhone. He’s very opinionated and not afraid to share his opinion using his social media channels (whether good or bad). He doesn’t trust advertising and only connects with brands that he feels are authentic and stand for higher purpose. So how do you connect with Mike and the rest of your audience members who are just like him? 63% of female and 73% of male smartphone owners in the US don’t go an hour without checking their phone. This means that they’re also tied 24/7 to their email. With email so attached, so integrated with our favorite device, it is an extremely powerful business tool. But, with all of the competition for your consumer’s attention, you’re tasked with cutting through the white noise of a crowded inbox. Instead of sending the same blanket newsletter to everyone on your list, get Mike’s attention with email marketing that addresses his unique interests. Download our guide to personalized email marketing for a few ideas on how to reach your entire audience on an individual level. 34% of consumers have turned to social media to share their feelings about a company. Consumers are quick to share products they like, and also quick to express dissatisfaction with a disappointing experience. In addition, 51% of consumers aim to influence others when they express their preferences online – and believe me, these peer-to-peer recommendations carry a lot of clout. Creating an awesome customer experience can go far to promote your small brand and business. Fumbling on the customer service side can cause consumers to air their grievances publicly. Send swag to your most enthusiastic customers. Say thanks by inviting top customers to an exclusive event. Share a hot resource with your customers for free. Unveil a behind-the-scenes look at your latest product or service. As you continue to nurture, surprise and delight your customers, they’ll be happy to refer their expansive social networks your way. More than 88% of consumers think companies should try to achieve their business goals while improving society and the environment. Mission and purpose can set your small business apart from the pack – even from the competition you may have with large players in your market. Defining your mission and your purpose starts at the leadership level, but to truly impact your organization, your mission needs to trickle down to every member of your team. At Hatchbuck, our mission is to provide small businesses with easy-to-use, affordable sales and marketing software so they can grow. Everyone at Hatchbuck knows what our mission is, and we come to work each day not with the goal of selling more software, but with the higher purpose to help small businesses grow. So, when our customers talk to Jamie in sales, when they train with Lindsey their Hatchbuck Consultant, and when they call Eric for support, they receive a unified experience from team members who are all aligned to the same purpose. It’s one of the big reasons why our customers love us. 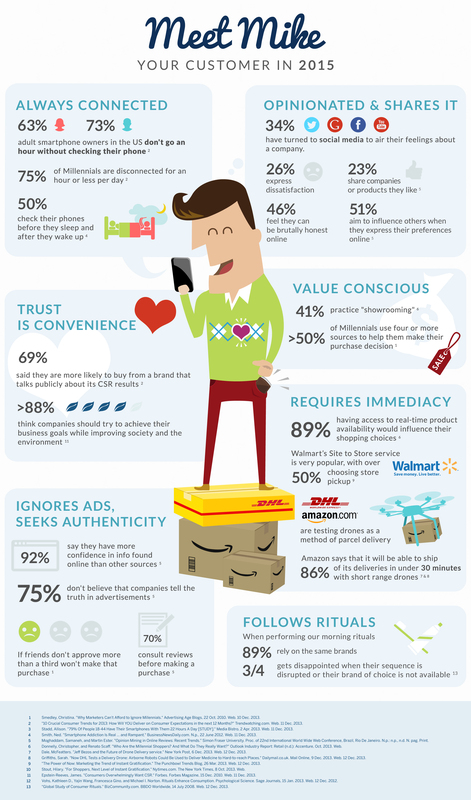 75% of consumers don’t believe that companies tell the truth in advertisement. Consumers aren’t prone to fall blindly in love with your brand right off the bat. It’s going to take a greater effort on your part to gain their trust. Instead of focusing on selling, focus on adding value to your audience. The more helpful resources you can give away, the more good will you can build so that you’re the first brand your audience turns to when they’re ready to buy. You don’t have to have a large team or an unlimited budget to show your audience the love this year. Build individual relationships through personalized email, surprise and delight your customers, align your business to an overarching mission and purpose, and add value to your audience to gain their trust. With these simple tweaks, you’ll find your audience sending the love right back atcha.